HONORABLE MENTION: Albion 4-2, Ardsley 4-2, Bayport-Blue Point 4-1, Broadalbin-Perth 5-1, Center Moriches 4-1, Cohoes 4-2, East Harlem-PSAL 4-1, Evander Childs-PSAL 4-1, Fieldston-AIS 4-1, Green Tech 4-2, Greenport-Southold 5-0, Highland 5-1, Irvington 4-2, Livonia 5-1, Locust Valley 4-1, Nanuet 4-2, Pioneer 4-2, Putnam Valley 4-2, Ravena-Coeymans-Selkirk 4-2, Red Hood 4-2, Stuyvesant-PSAL 5-0, Syracuse Westhill 4-2, Vernon-Verona-Sherrill 5-1, Wayne 4-2. HONORABLE MENTION: Akron 4-2, Albertus Magnus 4-2, Attica 5-1, Chenango Valley 4-2, Corinth 5-1, Dansville 5-1, Dryden 4-2, Frankfort-Schuyler 4-2, James O'Neill 4-2, Lansing 4-2, Mechanicville 4-2, Newark Valley 5-1, Ogdensburg Free 5-1, Salamanca 5-1, Saranac Lake 4-2, Skaneateles 4-2, University Prep 5-1, Waverly 4-2, Woodlands 4-2. HONORABLE MENTION: Alexander 5-1, Canajoharie 5-1, Cattaraugus/Little Valley 5-1, Cuba-Rushford 4-2, Deposit/Hancock 4-2, Dolgeville 5-1, Dundee 4-2, Elmira Notre Dame 5-1, Frewsburg 4-2, Groton 4-2, Panama 5-1, Perry 5-1, Portville 4-2, Pulaski 5-1, Red Jacket 5-1, Sherman 5-1, Sidney 4-2, Spencer-Van Etten 4-2, Tuckahoe 3-3, Tully 4-2, Walton 4-2, Waterville/Madison 4-2. 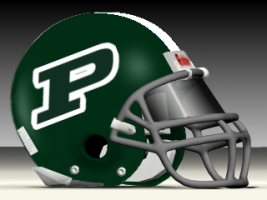 WINNING STREAKS (ALL CLASSES, 8 OR MORE WINS): Maine-Endwell 31, Hoosick Falls 19, Erasmus Hall-PSAL 18, Babylon 17, Randolph 16, Chaminade 13, South Shore-PSAL 11, Poly Prep-AIS 8. 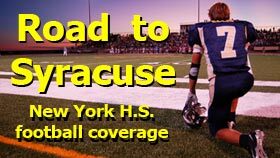 LOSING STREAKS (ALL CLASSES, 12 OR MORE LOSSES): Early College 26, Hoosic Valley 14, Cooperstown 13, South Glens Falls 13, South Seneca/Romulus 13, Ithaca 12.